· Wash and drain the chicken. Mix it with turmeric powder, salt, pepper powder and pressure cook for 1 whistle with enough water.After cooling mince the chicken. 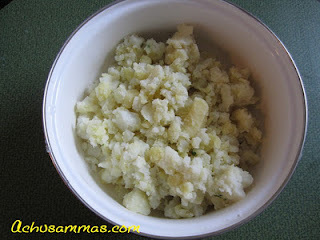 · Meanwhile boil the potato, allow cool and mashing well. Keep it aside. 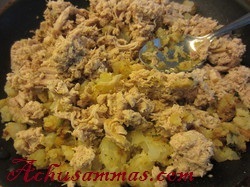 · Heat oil in a pan and add the oil, when it became hot, add the chopped onion and fry till light brown. 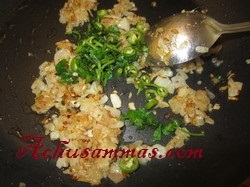 · Add ginger garlic paste, chopped green chilli, coriander leaves and sauté for a minute. 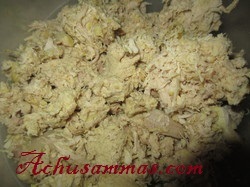 · Add the mashed potato and cooked-minced chicken, Mix well with the masala and add more salt if needed. Cook it for low flame for 2-4 minutes. · Allow the mixture to cool. 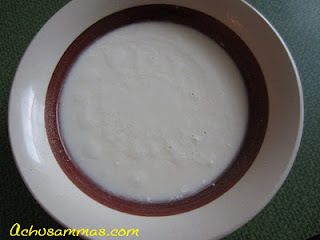 · Add 4 tablespoon of water to the all-purpose flour to make a batter. · Shape into flat round shape patties about ½ inch thick.You can make any shape. 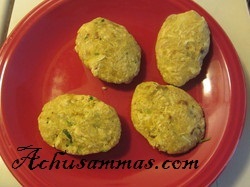 · Dip each patty in the flour batter, and roll the patty in the bread crumbs and set aside. · Shallow fry it in oil, till both sides turn golden brown. 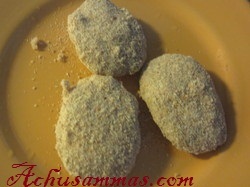 cutlets look super tempting..loved it! 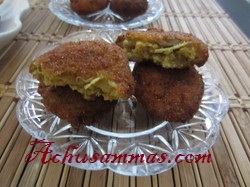 Tempting n delicious cutlets..my favorite too! The cutlets look appetising. Do they normally use potato in the non-veg cutlets? This is delicious with rice. looking very crispy.. glad to follow you dear.. thanks for your lovely comment..
Cutlets look super yummy!Thanks for liking my guest post in lavanyas recipes. 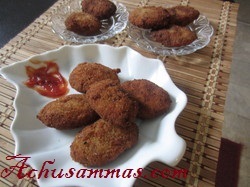 Wish to have some rite now,super tempting cutlets. 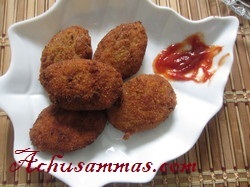 Delicious cutlets :) Looks tempting..